This article is about the music notation software. For other uses, see Sibelius (disambiguation). Sibelius 8, running on macOS. An example of a music sheet created in SIbelius. Sibelius is a scorewriter program developed and released by Sibelius Software Limited (now part of Avid Technology). It is the world's largest selling music notation program. Beyond creating, editing and printing music scores, Sibelius can also play the music back using sampled or synthesised sounds. It produces printed scores, and can also publish them via the Internet for others to access. Less advanced versions of Sibelius at lower prices have been released, as have various add-ons for the software. Named after the Finnish composer Jean Sibelius, the company was founded in April 1993 by twin brothers Ben and Jonathan Finn to market the eponymous music notation program they had created. It went on to develop and distribute various other music software products, particularly for education. In addition to its head office in Cambridge and subsequently London, Sibelius Software opened offices in the US, Australia and Japan, with distributors and dealers in many other countries worldwide. The company won numerous awards, including the Queen's Award for Innovation in 2005. In August 2006 the company was acquired by Avid, to become part of its Digidesign division, which also manufactures the leading digital audio workstation Pro Tools. In July 2012, Avid announced plans to divest its consumer businesses, closed the Sibelius London office, and removed the original development team, despite extensive protests on Facebook and elsewhere. Avid subsequently recruited some new programmers to continue development of Sibelius. Sibelius was originally developed by British twins Jonathan and Ben Finn for the Acorn Archimedes computer under the name 'Sibelius 7', not as a version number, but reminiscent of Sibelius' Symphony No 7.. The Finns said they could not remember why they used Jean Sibelius' name, but it was probably because he was also ‘a Finn' (i.e. Finnish), as well as being one of their favourite composers. Development in assembly language on the RISC OS started in 1986 after they left school, and continued while they were at Oxford and Cambridge universities, respectively. Both were music students, and said they wrote the program because they did not like the laborious process of writing music by hand. The program was released to the public in April 1993 on 3.5-inch floppy disk. It required considerably less than 1 MB of memory (Sibelius 7 needed only 548 kB for a 33-page symphonic score, for example), and the combination of assembly language and Acorn's RISC chip meant that it ran very quickly. No matter how long the score, changes were displayed almost instantly. A unique feature of the Sibelius GUI at that time was the ability it gave the user to drag the entire score around with the mouse, offering a bird's eye of the score, as distinct from having to use the QWERTY input keyboard arrow keys, or equivalent, to scroll the page. The first ever user of Sibelius was the composer and engraver Richard Emsley, who provided advice on music engraving prior to the start of development, and beta tested the software before its release. The first piece performed from a Sibelius score was an orchestral work by David Robert Coleman, copied by Emsley. The first score published using Sibelius was Antara by George Benjamin, also copied by Emsley, and published by Faber Music. Other early adopters included composer John Rutter, conductor Michael Tilson Thomas, and publisher Music Sales. As a killer application for the niche Acorn platform, Sibelius rapidly dominated the UK market. It also sold in smaller numbers in a few other countries, restricted by the availability of Acorn computers. 'Lite' versions were subsequently released, and these were successful in UK schools, where Acorns were widely used. In September 1998, the first version for Windows was released as 'Sibelius', with the version number reset to 1.0. A Mac version 1.2 was released a few months later, and the company thereafter used conventional version numbers for both platforms across subsequent upgrades. Scores created on one platform could be opened on the other, and were backward compatible. To produce these versions, the software was completely rewritten in C++, while retaining most of the original's functionality and user interface with numerous enhancements. The original Acorn names 'Sibelius 6' and 'Sibelius 7' were later re-used to denote versions 6 and 7 of Sibelius for Windows/Mac. Releasing Sibelius for more widely available computers brought it to a worldwide market, particularly the US, where Sibelius Software had opened an office in late 1996. Following the break-up of Acorn Computers shortly after Sibelius' Windows release, no further Acorn versions were developed. Sibelius Software later opened an office in Australia, also serving New Zealand, where Sibelius was widely used. In August 2006, Sibelius Software Ltd was acquired by Avid Technology, an American manufacturer of software and hardware for audio and video production. Avid continued publishing Sibelius as a stand-alone notation product, as well as integrating it with some of its existing software products. In July 2012, Avid announced plans to divest its other consumer businesses, closed the Sibelius London office, and laid off the original development team, amid an outpouring of user protest, then recruited a new team of programmers to continue Sibelius development in Montreal, Canada and Kyiv, Ukraine. The Save Sibelius campaign was possibly the first time a users group of a software application generated an organised mass response to a major technology company, petitioning it to reinstate developers whom it had fired in order to restructure its operations offshore, and then when that did not succeed, petitioning the company to divest itself of its flagship scorewriter application. The campaign attracted hundreds of thousands of responses, including an 11,590 strong petition, was featured on BBC Radio 4 and MacUser and prompted defensive public responses from Avid Tech. Sibelius Software had been sold by its owners (which included a VC investor and the two founders) in 2006 to Avid Tech. Sibelius was deemed a good fit for Avid, who had acquired other applications of comparable stature, such as Pro Tools. However, after initially expanding the Sibelius workforce, Avid later made cuts to staff and offices across its whole business, including at Sibelius, due to difficulties in other areas of Avid's business which was seen by some critics as asset stripping. 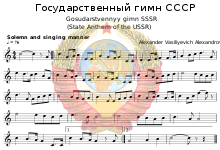 On 19 July 2012, after Avid Tech fired all but three of the Sibelius development team and closed their London office in order to relocate jobs offshore to Ukraine and California, the Save Sibelius activist group was formed by Derek Williams to try to future-proof the application. Williams co-opted Richie Vitale and a small team of other musicians to petition Avid to reverse their decision. Because of past experience with orphaned music technology and abandonware such as the Mosaic notation program and OMS, it was feared that the Sibelius application would likewise ultimately cease development, thereby leaving its users without updates to ensure the application would remain compatible with future operating system upgrades. To raise public awareness among the half million Sibelius users, the group launched a Facebook campaign, duplicated on Google Plus. Within its first week, 485,000 Facebook hits were generated, with 12,000 followers joining the page, alongside growing music industry media interest. The Avid board of directors, who had been targeted by a letter writing campaign initiated from the Save Sibelius website, began issuing public reassurances on their own blog websites and social media that they intended to keep Sibelius alive. After Williams' 6 August 2012 Podcast interview with The Audio Podcast, there followed a BBC Radio 4 radio interview about the campaign on You and Yours with composer Paul Mealor on 24 August 2012 indicating that Sibelius users were not convinced. By October 2012, after attempts by the Finn brothers and other investors approached by the group to buy back the application from Avid proved unsuccessful, a Change.org petition called "chris-gahagan-senior-vice-president-of-products-sell-sibelius" was launched to try to persuade Avid Tech to divest itself of Sibelius, and was presented in person (pictured) to Sibelius Software executives from Avid at an extraordinary meeting held by the British Academy of Songwriters, Composers and Authors (BASCA) at its London offices on 3 October. Amid subsequent collapsing share performance that involved Avid's delisting by NASDAQ, Avid Tech CEO Gary Greenfield stepped down, while Bobby Lombardi was replaced by long-time Sibelius employee Sam Butler as the new Sibelius product manager. Central to the Save Sibelius campaign were the issues of orphaned technology, abandonware, planned obsolescence, asset stripping, and the perceived impact of Avid Tech's actions on employees, shareholders and consumers. The firing of the Sibelius development team led directly to their engagement by Yamaha Steinberg to develop a rival application to Sibelius. In February 2013, Steinberg announced they had hired the majority of the former Sibelius development team to develop Dorico, under the stewardship of former Sibelius product manager, Daniel Spreadbury. 2018: Sibelius First (free, entry-level product), Sibelius (formerly Sibelius First) and Sibelius Ultimate (formerly Sibelius) launched together with a new year-based versioning system. 2014: First release of a Sibelius version (7.5) by the new development team. 2012: Avid closes Sibelius' London office and lays off original development team, sparks 'Save Sibelius' campaign. 2006: Groovy Music and Coloured Keyboard launched. Sibelius Software is bought by Avid Technology. 2005: Australian subsidiary formed after acquiring Australian distributor. Company reaches 75 employees. Wins prestigious Queen’s Award for Innovation. Releases Rock & Pop Collection of sounds. Commences distributing O-Generator. 2004: Compass, Kontakt Gold, Sibelius Student Edition, Sibelius in French & Spanish launched. Company acquires SequenceXtra. Sibelius software used in more than 50% of UK secondary schools. 2003: Revenues beat competitor MakeMusic Inc by 20%, confirming Sibelius as world market leader. Starclass, Instruments, G7 and G7music.net launched. Sibelius Group commences distributing Musition and Auralia. Sibelius in Japanese launched, distributed by Yamaha. 2002: Sibelius is first major music program for Mac OS X. Company acquires music software company MIDIworks. 2001: World’s largest sheet music publisher Hal Leonard also adopts Sibelius Internet Edition. Sibelius Group reaches 50 employees. 2000: Sibelius Internet Edition launched, and is adopted for Internet publishing by leading European publishers Music Sales and Boosey & Hawkes. SibeliusMusic.com and Sibelius Notes (initially called Teaching Tools) launched. 1999: Sibelius for Mac, PhotoScore and Scorch launched. Sibelius forms US subsidiary, creating the Sibelius Group, which now has 25 employees. Quester VCT invests. 1998: Sibelius for Windows launched worldwide. Company ceases selling hardware to concentrate on core software business. 1996: US office opened in California. Junior Sibelius (primary school program) launched. 1995: German versions of Sibelius launched. 1994: Distribution in Europe, Australia & New Zealand commences. Sibelius 7 Student (educational version) launched. 1993: Sibelius Software founded to sell Sibelius 7 and related computer hardware/software in the UK. Early customers include Europe’s largest publisher Music Sales, choral composer John Rutter, and the Royal Academy of Music. Sibelius 6 (educational version) launched. 1986: Founders Jonathan & Ben Finn start designing Sibelius 7 program for Acorn computers. Sibelius' main function is to help create, edit and print musical scores. It supports virtually all music notations, enabling even the most complex of modern orchestral, choral, jazz, pop, folk, rock and chamber music scores to be engraved to publication quality. Further, it allows scores to be played back or turned into MIDI or audio files, e.g. to create a CD. A built-in sample player and a large range of sampled sounds are included. Sibelius supports any MIDI device, and allows Virtual Studio Technology (VST) and Audio Units plug-ins to be used as playback instruments, giving users access to third-party sample libraries. Score playback can also be synchronised to video, or to DAW software via the ReWire standard. By default, Sibelius plays a brief passage from a Jean Sibelius symphony as it launches, a feature that can be disabled in the application’s Preferences if desired. Each version has used a different excerpt; e.g. Sibelius 7 appropriately uses the main theme from Sibelius' 7th Symphony. In Version 7.0, Avid rebuilt Sibelius as a 64 bit application, replacing the menu navigation system of previous versions with a Ribbon interface in the process. This met with considerable user resistance, however the Ribbon remains integral to the current GUI. Sound libraries such as Note Performer, Vienna Symphonic Library, Kontakt, Garritan, and Mark of the Unicorn's (MOTU) Symphonic Instrument, which can be added as Manual Sound Sets in the Playback Devices options from the Sibelius Play tab. Extra plug-in features. These are usually free of charge, and often created by Sibelius users, the most prolific of whom has been Bob Zawalich. Myriad’s PDF to MusicXML transcribing application PDFtoMusic. Neuratron’s Music OCR program PhotoScore (scanning), which can be used to scan and create a Sibelius score from printed music and PDF documents. A lite version is bundled with Sibelius. Neuratron’s AudioScore, also bundled in a lite version, which claims to be able to turn singing or an acoustic instrument performance into a score, though many users have complained that this does not work. AudioScore currently holds a two-star rating on cnet.com. QWERTY Keyboards such as Logic Keyboard. Keyboard covers such as KB Covers. Mobile device VNC controllers such as iPad Sibelius Wizard and Sibelius Control for iPad, allowing the user to control Sibelius wirelessly via shortcuts set up within the Preferences. Sibelius users can publish their scores directly from the software via the Internet using desktops, laptops or iPads. Anyone else using software called Sibelius Scorch (free for web browsers, charged for on iPads) can then view these scores, play them back, transpose them, change instruments, or print them from the web browser version. ScoreExchange.com is a website where any Sibelius user can upload scores they have composed, arranged or transcribed with Sibelius, so that anyone can access the music. The site began in 2001 as SibeliusMusic.com, and by June 2011 had amassed nearly 100,000 scores. The iPad version of Scorch also includes a store containing over 250,000 scores from publishers Music Sales, Hal Leonard, and Sibelius Scorch is used in the websites of various music publishers and individual musicians. Publishers can license the Sibelius Internet Edition for commercial online publishing. From October 2017, Scorch has been replaced by Sibelius Cloud Publishing, providing publishers with an API to automate the publishing and selling of digital sheet Music. It uses the same technology as Scorch to allow Sibelius users to share music online directly from within the program, and addresses compatibility issues. There are various education-specific features for Sibelius' large market of schools and universities. The Sibelius Educational Suite includes extensive built-in music teaching materials, and the ability to run and manage multiple copies of the software on a network at discounted educational pricing. 2019 January 2019.1 Adding Review Mode, playback and timeline enhancements, added Avid Link for Application Manager, and other fixes. 2018 December 2018.12 Fixed bugs, text handling, crash fixes, and including Pori music font. June 2018.6 Free tier available, with all three tiers combined into one installer. Improvements in note spacing, grace notes, multi-text entry, tied notes and others. May 2018.5 Maintenance release to fix an issue where running some plug-ins would cause a memory leak that slowed Sibelius down until it was relaunched. April 2018.4 Multi-editing text, new note spacing rule and behavior, new voice position rule, respacing music during note input and editing, changes to the note spacing algorithm, add and delete the first bar of music without losing text, add/delete Pickup Bar, changing the pitch of tied notes, changing barline style via a passage selection, speed boost. January 2018.1 New versioning scheme, improved workflow enhancements. 2015 June 8.0 Support of touchscreens and digitiser, scaling for high-DPI screens, annotations, subscription license model, removed 32-bit support, multiple staff sizes, magnetic glissandi lines, Sibelius Cloud Sharing. 2014 February 7.5 Support for score sharing, improved playback and notation interpretation, "Timeline" window and other features. 2011 July 7.0 New ribbon-based user interface, native 64-bit support, a 38 GB professional sound library including specialised playing techniques, advanced text and typographic handling, enhanced graphics import/export, MusicXML export, Finale-compatible note input, and various other improvements. This version of Sibelius (and all future versions) is no longer supported on Mac OS X v10.5 or earlier, and Mac computers with PowerPC processors; the last version with this support is Sibelius 6.2. 2009 May 6.0 Featuring 'Magnetic Layout' (comprehensive score object positioning and collision avoidance), 'Versions' (revision control of changes made to a score), keyboard and fretboard windows, Live Tempo (recordable tempo changes), ReWire support, input via microphone, and various other notation and playback enhancements. 2007 June 5.0 Support for VST effects and instruments, a new sample library (Sibelius Sounds Essentials), 'Panorama' view, and numerous other new features. This version added importing of MusicXML files, but dropped importing files from RISC OS versions of Sibelius. 2005 July 4.0 Ability to write music synchronised to video, instrumental parts which are automatically updated when the score is changed, and a redesigned user interface. 2003 September 3.0 Kontakt Player and the ability to create audio files and CDs. 2002 March 2.0 Look and feel: additional zoom percentages, keypad layout tabs light up, Navigator shows highlights and selected passages. Notation: bar numbers individually moveable (horizontally and vertically), new barlines for early and avant garde music, multiple simultaneous key signatures. Text & fonts: new Inkpen2 font family including a handwritten font, 'stackable' alterations. Playback: select and play back non-adjacent staves, omit repeats, built-in support for many more keyboards and sound modules, new MIDI messages for bank/program change combinations, NoteOn/NoteOff MIDI messages. Selections and passages: passages can contain non-adjacent staves. Layout and formatting: move staves with arrow key shortcuts. Printing: include View options on printouts. Graphics import/export: export multiple pages as graphics files, export part of a page, choose the resolution of exported EMF/BMP files, crop empty page margins, resize imported graphics, imported graphics automatically compressed, imported graphics included in scores published on the Internet. Plug-ins: further new plug-ins. House Styles: new House Style menu of publishing options. Files: Sibelius 2 opens scores from all previous versions of Sibelius, saved MIDI files include full playback of repeats. 'Lite' versions of Sibelius (with a smaller feature set and lower price) were released for Acorn computers from late 1993 onwards (Sibelius 7 Student, Sibelius 6 and Junior Sibelius) and more recently for Windows and Mac platforms (Sibelius Student, Sibelius Instrumental Teacher Edition and Sibelius First). A Sibelius version for guitarists and songwriters called G7 was also available for several years. In 2012, Sibelius Student was replaced by a new version of Sibelius First. Lite notation based on Sibelius is included in Avid's Pro Tools audio editing software. A network license is available for schools, colleges, universities and other multi-client situations. Sibelius is available in English, German, French, Spanish, Italian, Portuguese, Japanese, Chinese and Russian editions. Earlier versions offered manuals in other languages, such as Dutch. This is an incomplete list; in particular, it excludes various awards won by Sibelius 7 for Acorn in the 1990s. ^ a b "An interview with Ben Finn, co-founder of Sibelius [Part 1 of 2] - Scoring Notes". 23 June 2015. ^ a b "Sibelius software's London offices to close". Rhinegold.co.uk. 4 July 2012. Retrieved 23 July 2012. ^ a b c "Avid Divests Consumer Businesses and Streamlines Operations". Business Wire. 2 July 2012. Retrieved 23 July 2012. ^ "Of Note: Finale and Sibelius tips and tutorials by musician, arranger and music notation expert Robert Puff". Rpmseattle.com. 16 July 2012. Retrieved 23 July 2012. ^ "Save Sibelius". Retrieved 29 July 2012. ^ "Sibelius is in crisis!". Retrieved 29 July 2012. ^ 'Sibelius'. Music Printing History. ^ Bourgeois, Derek (1 November 2001). "Score yourself an orchestra". The Guardian. Guardian Media Group. Retrieved 10 May 2011. Many composers bought an Archimedes simply to have access to the program. ^ "Sibelius Corporate Information". Sibelius Software. Archived from the original on 27 May 2007. Retrieved 21 May 2007. ^ (6 January 2011). ‘History of ARM: from Acorn to Apple’. The Daily Telegraph. (United Kingdom). ^ Seymour, Elle. (28 February 2012). ‘The Day Olivetti Stitched up Acorn Computers’. Huffington Post. (United Kingdom). ^ "Sibelius UK Office Closes : Avid Selling Consumer Businesses – OF NOTE". www.rpmseattle.com. ^ 'Avid (AVID): how to lose money when you’re the market leader'. Glenn Chan's Random Notes on Investing. ^ 'Avid Technology Inc AVID Ugly Financials with Loads of Deception'. Copperfield Research. Scribd. ^ Rothman, Philip. (23 January 2014). ‘Sibelius 7.5 announced: An evolutionary, not revolutionary upgrade’. Scoring Notes. (Netherlands). ^ "VST play back in Sibelius 5". Sibelius Software. Retrieved 9 June 2007. ^ 'Sib. 7.0: The blasted Ribbon!'. Sibelius Help Center. Avid (company). ^ ‘Vienna Symphonic Library: Products’. Vienna Symphonic Library. ^ ‘Configuring Garritan libraries for use in Sibelius’. Finale_(software)#Alfred_Music_involvement. ^ 'MOTU Symphonic Instrument Overview'. Mark of the Unicorn. ^ ‘631: How to play back through a different device’. Help Center. Avid (company). ^ ‘WRITTEN BY BOB ZAWALICH’. Scoring Notes. ^ ‘PDF to Music’. Myriad. ^ ‘PhotoScore and NotateMe’. Neuratron. ^ ‘Create scores from a variety of sources’. Avid (company). ^ ‘Neuratron Audioscore Ultimate 8 - Customer reviews’. Amazon (company). ^ ‘Neuratron Audioscore Ultimate 7 - Customer reviews’. Amazon (company). ^ "CNET AudioScore reviews". cnet.com. Retrieved 23 May 2014. ^ Avid Sibelius - Advance Line Keyboard. Logic Keyboards. ^ ‘Sibelius Keyboard Cover’. KB Covers. ^ Williams, Derek. ‘iPad Sibelius Wizard’. ^ ‘ 'Sib. 7.1.3: Sibelius Wizard’. Help Center. Avid (company). ^ Escher, Tobias. ‘Sibelius Control for iPad’. ^ ‘Sibelius Scorch’. Avid (company). ^ ‘Sibelius - Cloud Sharing and Publishing’. Avid (company). ^ Avid Knowledge Base: Sibelius Scorch plug-in compatibility. Avid (company). ^ Rothman, Philip (24 January 2019). "NAMM 2019: Sibelius 2019.1 released with Review Mode, Avid Link". Scoring Notes. Retrieved 12 February 2019. ^ Rothman, Philip (17 December 2018). "Sibelius 2018.12 update released". Scoring Notes. Retrieved 2 January 2019. ^ Rothman, Philip. (29 November 2018). 'Sibelius 2018.11 makes the infrastructure investment'. Scoring Notes. (Netherlands). ^ Rothman, Philip. (26 July 2018). 'Sibelius 2018.7 released with bug fixes'. Scoring Notes. (Netherlands). ^ Rothman, Philip. (26 June 2018). 'Free Sibelius First now available; other improvements in 2018.6 release'. Scoring Notes. (Netherlands). ^ Rothman, Philip. (17 May 2018). 'Sibelius 2018.5 released with one fix pertaining to plug-ins'. Scoring Notes. (Netherlands). ^ "Supercharge Your Workflow with Avid Sibelius 2018—What's New". 25 January 2018. ^ "Avid Continues Innovation of Proven and Trusted Music Notation Solutions with Sibelius 7.5 Software" (Press release). Avid. 23 January 2014. Retrieved 23 January 2014. ^ "Avid Sibelius 7.5 -". www.soundonsound.com. ^ "Sibelius 7: Task-oriented user interface". Avid Technology. Retrieved 2 August 2011. ^ "Avid end of support announcement: Sibelius on Windows XP, Mac OS X 10.5 or earlier and Mac computers with PowerPC processors". Avid Technology, Inc. Archived from the original on 1 July 2012. Retrieved 5 November 2011. ^ "v4 was the last Windows edition to import RISC OS Sib7 files"
^ Sibelius 2. Sibelius 'Further new features in Sibelius 2'. Avid (company). ^ 'Network License Server'. Avid (company). This page was last edited on 25 March 2019, at 23:42 (UTC).